iOS 11.1, the latest iOS update, is out today for everyone to download. Front and center in its release notes is a plethora of new emoji. 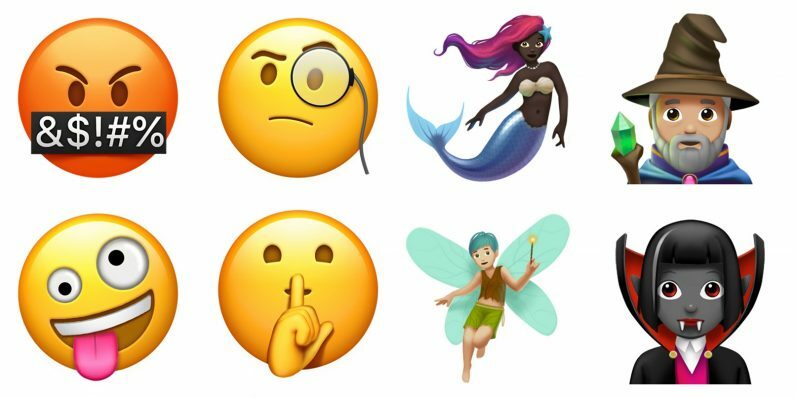 Included in those are a few new emoji that arrive just in time for Halloween, such as a vampire, mermaid, and fairy/pixie. For me, emoji releases are characterized by the feeling that I never knew I wanted a particular emoji until it’s released and I have it. I didn’t know I was missing an orange heart, but I’ve got one. I’ve also got a Brachiosaurus, a swearing face, and a red scarf that I swear looks like one I’ve actually knitted in real life. I can’t, for the life of me, pick out a full 70. But it’s got a few other good additions that I can find. My favorite is the ASL sign for I Love You, the pointer and pinky aloft with the thumb out. iOS 11.1 includes a few other bug fixes and tweaks, but we all know the emoji are the real draw here.